Fruit liqueur made from pink grapefruit and grapefruit natural extracts (essential oils). Emile GIFFARD is at that time a dispensing pharmacist in Angers (Val de Loire). Inventive, curious and gourmet, he undertook research on the digestive and refreshing properties of mint. He thereby invented a pure, clear and refined white mint liqueur which he tested with the Grand Hotel's customers, in order to relieve them from heat. Success came at once. Emile changed his pharmacy into a distillery and called his liqueur MENTHE PASTILLE, referring to the mint sweets very famous at that time. 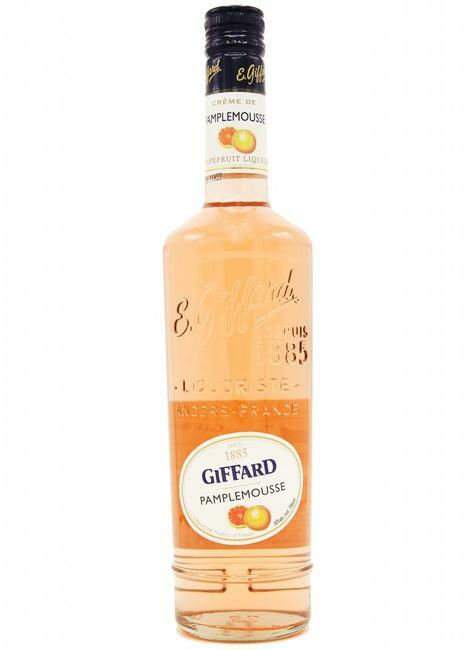 Four generations later GIFFARD is still in the hands of the same family and keeps quality as a motto from the origin.